Kurt Angerer was once a young winemaker with new ideas, who employed methods of grape cultivation that were a radical departure from those his family had used in Austria’s Kamptal since 1848. 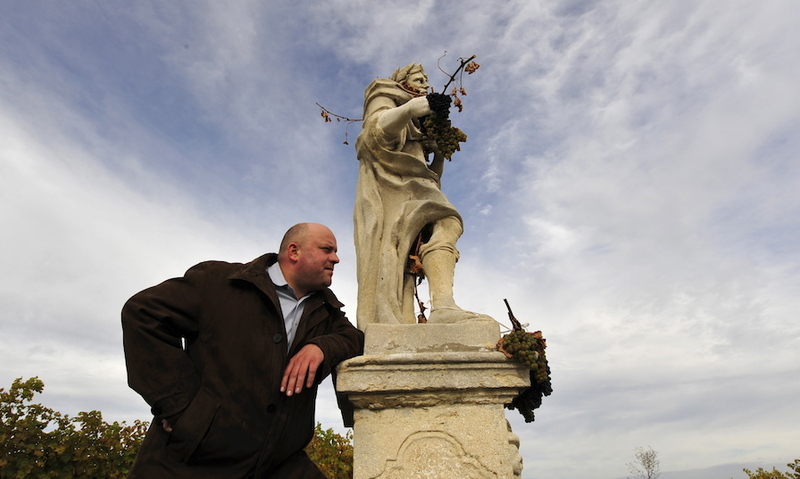 Kurt was born in Krems an der Donau and started working on his father’s wine growing estate at the age of fourteen. In 1995 he was on the verge of leaving Europe for the New World to make wine in Australia when fortuitously, Austria’s entry into the EU that same year presented possibilities and the young winemaker began selling wine to Germany. The fantastic vintages of ’97, ’98 and ’99, and his inaugural participation in foreign wine fairs in 1999 (ProWein; Vinitaly; Vinexpo Bordeaux), brought Kurt international success. This first achievement was to be repeated in Switzerland, the UK, USA and Sweden, enabling Kurt Angerer Estate to invest more time in high-quality production and achieve international standards with red wines and varietals like Grüner Veltliner, Riesling, Burgundy grape cultivars. Armed with this experience Kurt joined Gregor Drescher for the ultimate viticulture and winemaking challenge: making a red without compromise to achieve supreme quality. He calls this wine Redgranite. Every step in its production is performed with attention to detail like never before. In this triumph Kurt has discovered a new passion: fanatical winemaking.